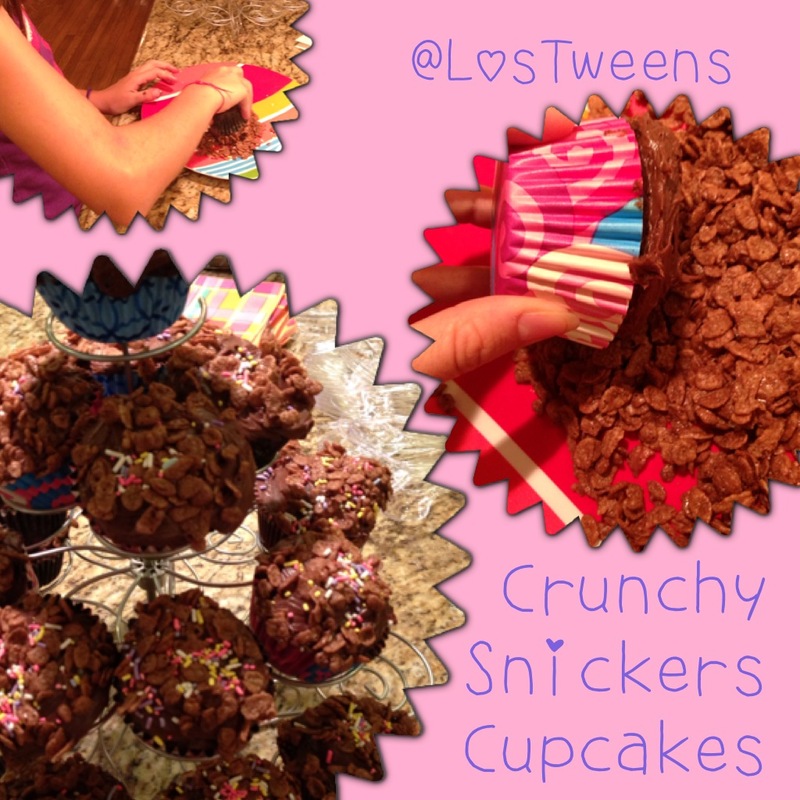 These Crunch Snickers Cupcakes were a HUGE hit at my recent party with the tweens and adults. They are extremely simple to make and a great way to get rid of the extra holiday candy lying around the house. I had the idea after one of the the moms in my son’s Kindergarten class made “Whooper Cupcakes” with Whopper candies inside and on top. They were delicious! Since we’re a familia full of Snickers-lovers, I knew I had to try creating these. It worked and my tweens were actually willing to help make them. Jonathan unwrapped all of the Snickers and dropped them in and Maddy frosted and added the crunch. Preheat the oven to 350 degrees. Mix the cake mix according to the package directions. 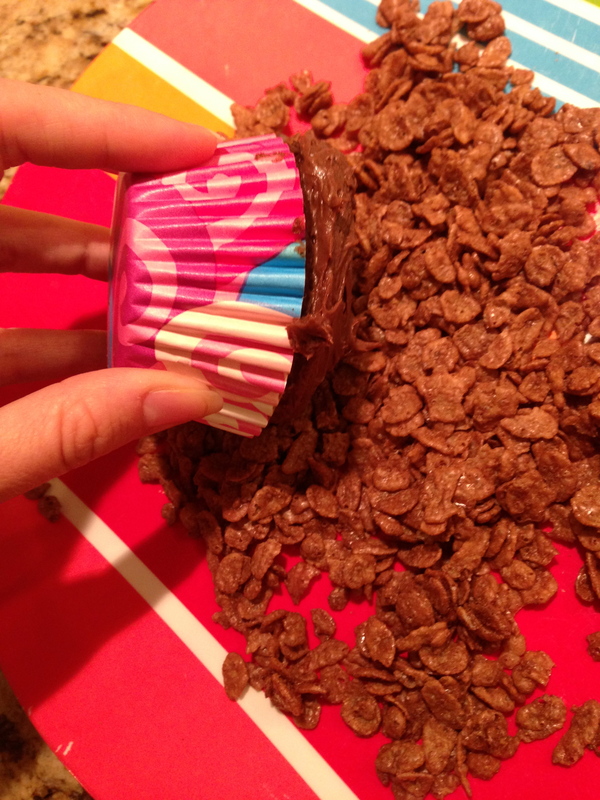 Fill a muffin tin with cupcake liners. 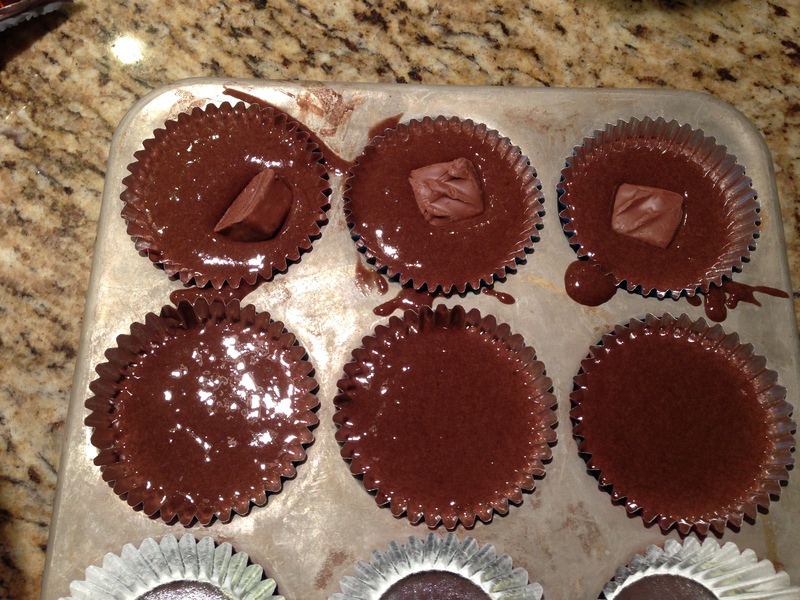 Fill each cupcake line a little less than half way. Place filled muffin tin in the oven for five minutes or just enough that the mix begins to cook. Remove from the oven and place one Snickers in each tin. Cover with cake batter until each muffin tin is filled about half-way. Place back in the oven until thoroughly cooked and toothpick comes out clean. Once the cupcakes have cooled, frost and gently dip into cocoa cereal. Add the sprinkles to the top. 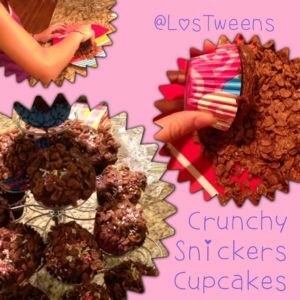 This entry was posted in Recipes and tagged baking, cooking with tweens, recipe, tween cuisine. Bookmark the permalink. ← What’s for Papi this Father’s Day?